-Put 1 tablespoon of coconut oil, mushroom, cabbagge, sweetcorn and red pepper into the non stick frying pan. Stir until all the ingredients cooked and combined. -Add the garlic, glass noodles, light soy sauce, sugar, salt and pepper into the same pan. Then stir until all the ingredients combined and set a side. This is your spring roll fillings. -Put the spring roll pastry on the flat plate or chopping board. Scoop 1 tablespoon of fillings onto the pastry. Then roll all the edges and seal it by dampens the edge with tiny bit of water. Repeat the same process until you finish all the sheets. -Put 5-6 tablespoon of coconut oil into the pan. Wait until the oil is medium hot, then put half of the spring rolls, fry, turn half way until it’s turn light golden brown. Transfer the spring rolls onto the kitchen towel. Repeat the same process of the next badge. 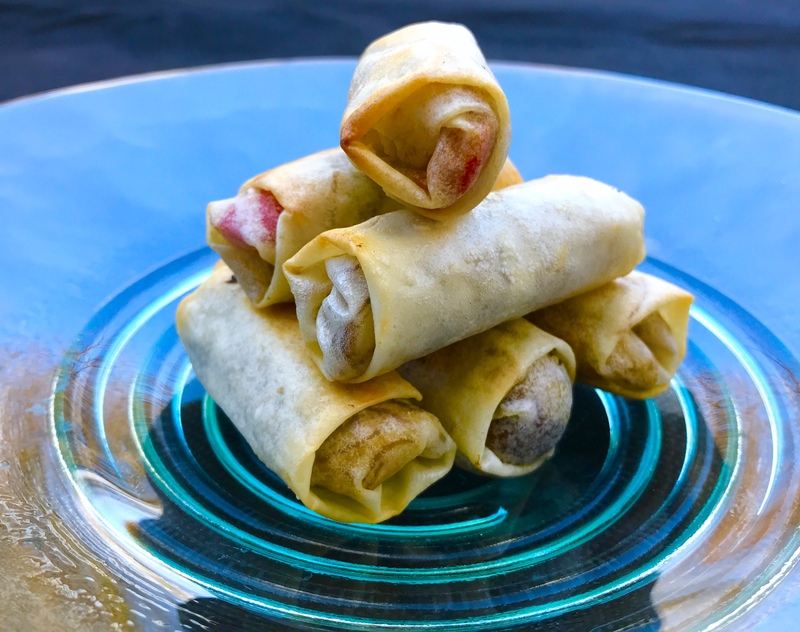 – Transfer those spring rolls onto the baking tray. And put it in the heated 220 Celsius oven for 5 minutes. Serve immediately with sweet chilli sauce dipping and side salad. -Adjust the size of filling accordingly, if you used the bigger size of spring roll pastry. 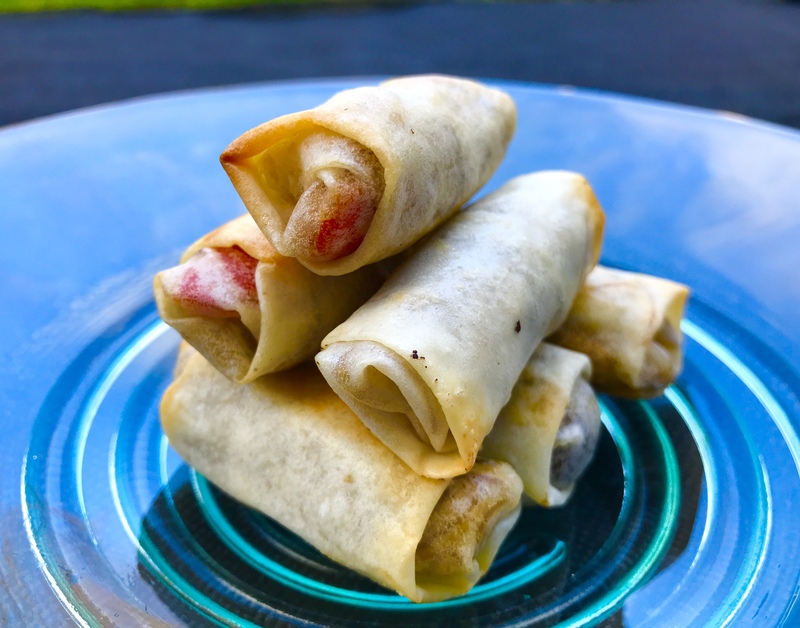 -You can fry the sping rolls in advance, leave them in the fridge for no longer than 6 hours. Once ready to eat, put them in the oven (220 Celsius) for approx 5-8 minutes. -You can deep fry the spring roll if doesn’t want to heat them in the oven.